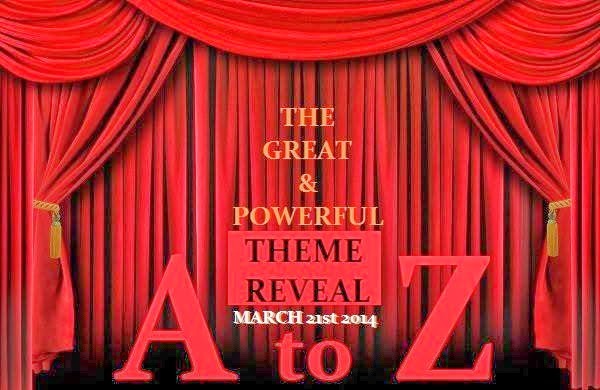 There's less than ten days left for the Great A to Z Challenge which will kick off in April and I can hardly contain my excitement. This will be my second month-long blogging challenge in less than six months, the first being NaBloPoMo from November 2013! Considering that it will be vacation time for us , here in India, I was deliberating for a long while over whether I should take part this time. The kid will be at home, which will mean more family fun time and less actual blogging time. And I didn't want to compromise on that. So, I dragged my feet and then sat back and decided this wasn't to be. I could schedule posts ahead since it was all alphabetical. I could really, really expand the blogging network, which is something very close to my heart. I love the connections we make through our blogs and feel that it binds us all very close together. She made it even more appealing by inviting me to join the Facebook group for the A-Z participants, mostly from India. Working as a community helps us thrive and I find that to be very true for blogging. Grab the participant badge to display on the blog. Categorise and schedule posts ahead of time. Encourage, motivate, push the other participants. Decide to read, comment on and share the posts that you love! After a lot of brainstorming (and some hair-rending), I finally picked my theme for the challenge! Each post will revolve around some form of inward reflection- for me as a parent, a spouse, a daughter, a woman and a human being. In addition, every post will have a set word count and that number will be a multiple of 11. So, 33, 44, 55...but not necessarily in that order. You get the idea. The word count for each post will range between 33 and 300. So, I hope you are all set with your themes too! I am itching to know what's in store for me this April. If you aren't participating, that's fine. Do stop by everyday and share your comments on the posts. I promise you, it will be fun! If you are checking the above link after the 21st of March, you will need to look for that post on the blogger's respective page.